*These high tops might seem adventurous and/or offbeat, but get used to seeing them. Every primo designer is offering high-end versions, from Isabel Marant (which are selling out on netaporter.com and are all the rage among fashion insiders) to Gucci and Lanvin. Check out style street star and Moda Operandi exec Taylor Tomasi Hill sporting her sneakers to a New York fashion show here. 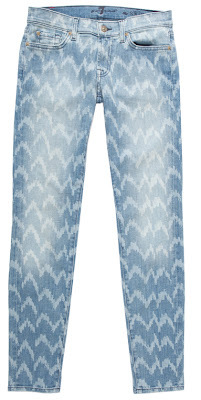 I <3 the toffee Ikat! !